Kylie Shaw wound up in Knight’s Bridge, Massachusetts, because one of her art professors had a country home there that happened to be empty when Kylie needed a quiet spot free of distractions to focus on her work as an illustrator. What was supposed to be a brief stay stretched into many months. When the professor decided to sell her home, Kylie, not ready to leave Knight’s Bridge, became the first occupant of the loft apartments that were part of the Moss Hill complex, a nineteenth-century hat factory renovated by local architect Mark Flanagan. Kylie found the small town perfect not only to concentrate on her latest project, illustrations for a series of fairy tales, but also to work on the wildly popular children’s books she writes and illustrates as Morwenna Mills. No one, not even her family, knows that Kylie is Morwenna, and since Kylie is unsure of how people will react to her unexpected fame, she is not eager to disclose her dual identity. Learning that a private investigator will be moving into the apartment across from hers disrupts Kylie’s peace. It wouldn’t take much digging for a smart PI to discover Kylie and Morwenna are one and the same. But once she meets Russ Colton, Kylie finds it difficult to dodge his questions and more difficult to ignore the attraction she feels for the hunky investigator. Russ Colton is not happy about becoming a temporary resident of some small town that he never heard of until his client, Hollywood designer Daphne Stewart, insisted that he check it out before she returns to the place where her design work began (That Night on Thistle Lane, Swift River Valley #2) to conduct a master class in costume design. Daphne is not sure whether the bad vibes she’s getting about her trip are warnings of a real threat or the result of her paranoia about her past. Russ is convinced it is the latter, but almost as soon as he gets into town, he learns that rumors are circulating about the safety of the Moss Hill complex. Then there is his neighbor: Kylie Shaw clearly is hiding something, and neither her evasions nor the probable irrelevance of her secret to Daphne will stop Russ from unlocking the puzzle of the blonde artist who arouses his curiosity and his libido. 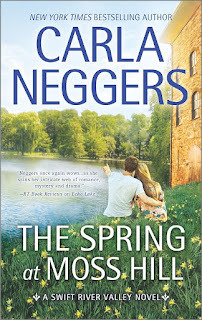 This is the sixth book in Neggers’s Swift River Valley series. Like the other books in the series, Knight’s Bridge itself with its history and the entangled threads of the town’s old families is a large part of its appeal. Fans of the series will doubtless be pleased at the updates the author provides on couples from most of the other books. Kylie and Russ are likeable characters who find friends in the welcoming community and the promise of an HEA with each other. Russ’s California ties not only to Daphne but also to his brother Marty add interest to the story. Despite these strengths, however, the story never quite came together for me. Kylie’s desperation to protect her alternate identity seems incomprehensible given the lack of any threat, physical or psychological. Daphne’s fears are a bit more understandable, but they still seem exaggerated in light of her years and achievements. 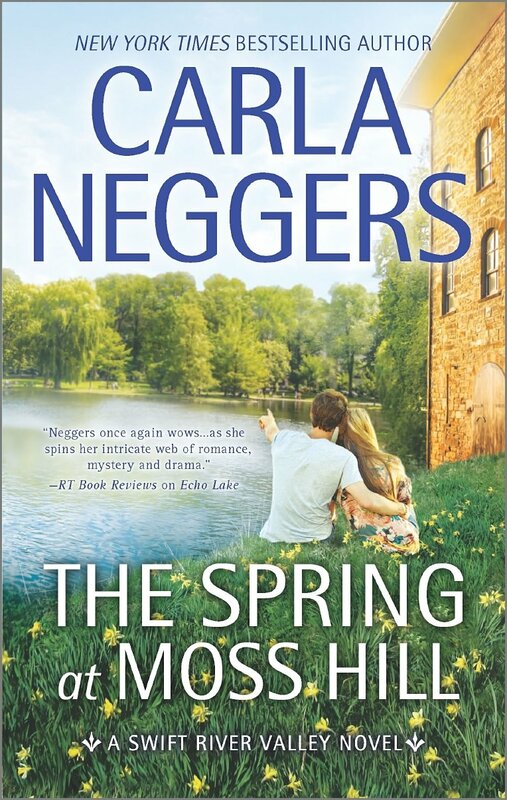 There is a secondary romance that fizzles, and the “villain” threatening Moss Hill is more pathetic than dangerous. If you have read and liked the other Swift Valley books, you will likely find enough of interest in this one to make it worth the read. If you are new to the series, I recommend you start at the beginning with Secrets of the Lost Summer and Night on Thistle Lane, foundational books with engaging characters and tight, comprehensible plots.